Leveraging large events for digital media exposure can be extremely effective, but can also be a waste of time and resources if not managed strategically. With events like the World Cup, the majority of businesses are looking for an angle to reach the hyperactive social media platforms and web browsers filled with raving soccer fans. Occasions like these bring forward a special and rarely seen level of engagement with audiences, presenting a unique opportunity for businesses. If properly executed, businesses have the opportunity to reach users on much larger scales, spreading brand awareness far more effectively. Soccer fans are charged up and full of energy, actively participating in social media contests or anything related to the World Cup. This is where the largest opportunity lies -- integrating your product or message into the user’s World Cup experience. Only after you have gained audience attention, will there be opportunity to amplify your brand. Many companies have managed to effectively integrate their brand into users’ overall World Cup experience. 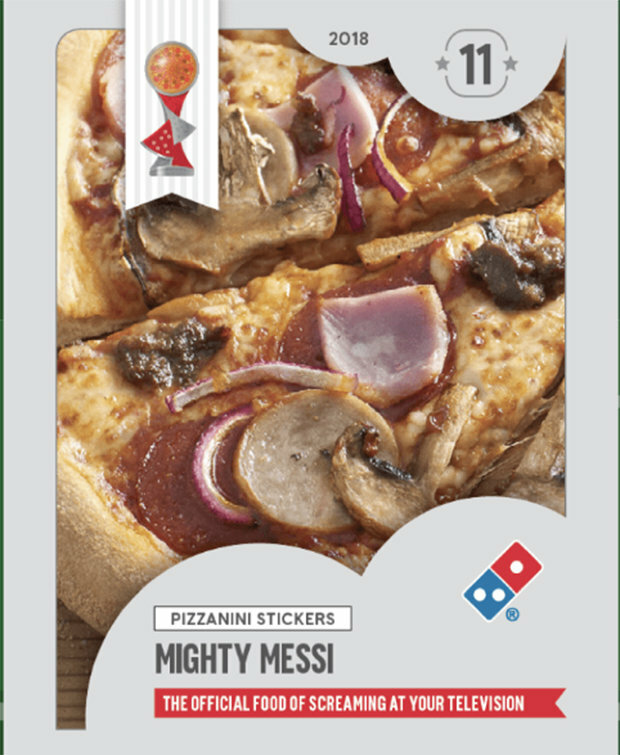 Dominos Pizza™ launched a special edition soccer themed pizza and released collectable stickers that combine the names of famous soccer players with classic pizza recipes “I.e. Mighty Messi”. Users who collect all the stickers have a chance to win a special edition pizza for the World Cup final. This campaign is so compelling because not only has Dominos created a connection with the World Cup final, but they have also temporarily rebranded their classically loved products to become novelty items. This draws even more customers and interest using a very clever combination of consumer knowledge and the widely acknowledged FOMO (fear of missing out) phenomenon. To take advantage of opportunities provided by events like the World Cup, you need a creative idea with a relevant angle to capture user engagement. Creating brand awareness is as much about timing and relevance of the message as it is about the actual product or service. The danger of associating your brand with any random event is that it introduces a risk of diluting your brand image, or even creating negative brand associations. The more organically your users are attracted, the better their long term associations with your brand will be. Before you go diving blindly into digital media outlets with unrealistic expectations, remember that a successful digital media campaign does not necessarily translate into profit. It is important to know who your target market is, and create engagement opportunities that can be turned into revenue. Social media can be used for a variety of organic marketing strategies and can easily be leveraged to create user engagement.. Examples include the use of brand related hashtags that can be used in contests. You can also create contests which ask users to share and tag your business in their best pictures from an event, creating even more attention and exposure for your brand. 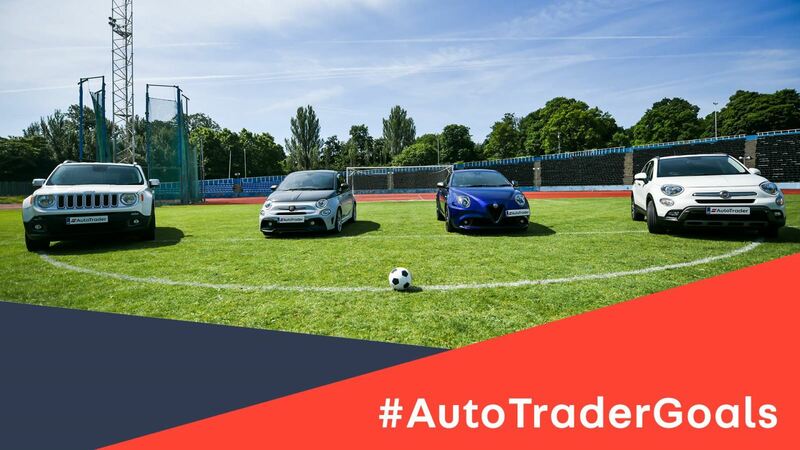 Autotrader Group™ successfully launched a social media contest directly tied to the World Cup. Specializing in classified advertising for new and second hand automotive sales, Autotrader introduced a campaign that presented the opportunity to win a car each time England scored a goal. Using the slogan “They score, you score,” users were encouraged to use the hashtag #AutoTraderGoals when posting to Facebook, Instagram, and Twitter for a chance to win a new car. This was a great campaign because it was active and relevant throughout the World Cup (until England was eliminated) with minimal upkeep from the business, except to broadcast the parameters of the contest. These were some of the best marketing campaigns because they combined the promotion or message into the user's overall experience, creating an advertisement which integrated naturally into the user’s gameday ritual. To make the most out of wide scale events, creating a link between the specific event and your brand is essential. For example, a pizza store offering 50% off pizza every time someone scores over 3 goals gets people thinking about that pizza whether or not the 3 goals actually take place. Another important strategy for deploying your message is cross-platform coverage. This coverage ensures the most exposure and the best chance of leaving multiple impressions which will further solidify the message in the user’s mind. This can be achieved through researching and identifying your primary consumers and targeting them with tailored Facebook banners and Instagram ads to effectively reach your intended audiences with your brand and message. What is your brand image, who is your target market, and who is your competition? Knowing your brand's image and the percieved role of your business in a marketplace is important to understanding and formulating a strategy that will bring about success. Your target market is a crucial part of this, as a large part of your business’s long term strategy will be built around the needs and preferences of your target market. For example, if your target market is young, environmentally conscious millennials, then your strategy for positioning and promoting your product will be extremely different than if you were targeting 60+ age range individuals who are more concerned with gas prices being too high. Understanding your competition is also crucial to your strategy because it shows where you sit as a business when it comes to the perceptions held by customers. What is your core message? What solutions are you offering? Identifying and understanding your core message is an important step early in the promotional process. The core message will be behind every advertisement and promotional tool. It is the base that all communications will be tied back to, and it’s vital that it is clearly defined early on and deeply understood within the marketing team. What is the overall purpose of your marketing effort? What are you hoping to achieve from this campaign? The overall goal of your marketing effort must be solidified, as any decisions about the strategy of the campaign will be made with the overall end-goal in mind. Having a clear purpose to work towards creates synergy among units in the business, allowing everyone to work together towards a common objective and puts into place a tool for measurement to track how successful your efforts are. What marketing activities and tools will you use to reach your target market? It is important to think carefully about what tools to use when interacting with your target market, as we mentioned above, separate segments of people respond differently to different strategies. As an example, social media is typically more effective with younger generations, however there are huge numbers of niche and sub niche segments who might refuse to use social media, and there may be individuals from older generations who are extremely active on social media. These different segments will require varying tools to be influenced. Where Is Your Audience? When Will Be The Best Time to Reach Them? In order for your message to be effective, it has to actually reach your audience. It's important to know their gathering places, and where they look for advice or products. In addition to knowing where, it is important that your marketing plan has factored in timing. Data analytics are extremely useful for aspects such as the where and when of your message delivery. Using the correct platform is only half the battle. You have to ensure that you possess accurate data concerning the usage habits and routine of your target audience. Otherwise, it is comparable to knocking on a door when no one is home. When the next World Cup, or other higher profile event comes around, you’ll be given an opportunity to assess whether or not it benefits your business to throw your proverbial (digital media) hat in the ring. While it will be easy to get caught up in the excitement and pressure of leveraging large events, it’s important to proceed strategically, and ensure it’s the right fit for your brand. Until then, vive la France! Celeste brings a unique passion for marketing and advertising, especially within brand image management. Working in social media within the marketing and technology realm, Celeste brings creative and enthusiatic ideas as well as insight towards audience engagement and social media strategy. A marketing student at York University, Celeste brings a great energy and eagerness to expand and shape our brand awareness and recognition in the community.